Landlink’s suite of beautifully built new homes was the perfect project on which to use our expertise in property brochure design. 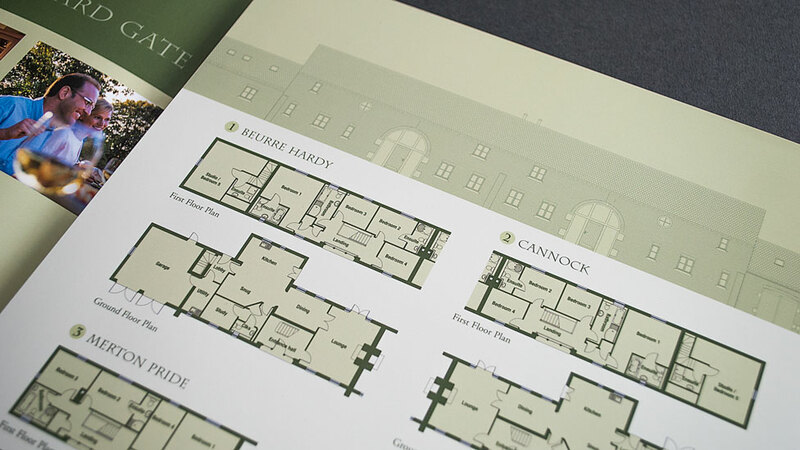 Quality marketing collateral is essential for marketing new property developments. 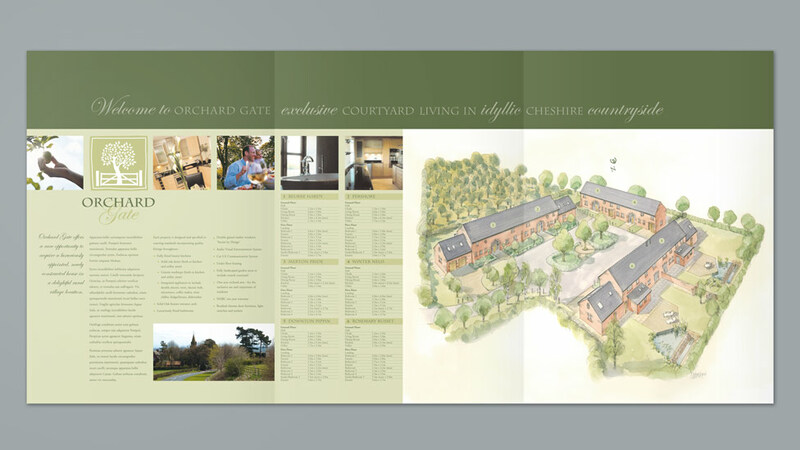 A unique courtyard development of 6 character properties set within a delightful rural village location, the nature of the site lent itself to a rustic design, using the colours and textures from the orchard itself to create a unique identity and marketing pack for the owners. We designed a logo incorporating the iconic tree and gate symbol. The design had a natural feel and was complemented with a sophisticated combination of a script-style font and a traditional serif typeface. Very classic in feel, the residential property brochure design uses a balance of lifestyle and architectural photography, which were planned and shot by our professional photographers. 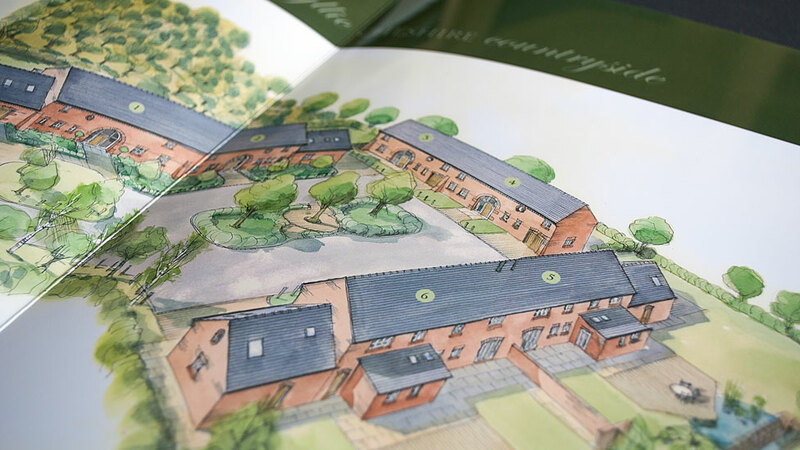 A bespoke watercolour impression was commissioned to convey a snapshot of how the development would look on completion to reinforce the country setting of the homes, and we created illustrated floor plans and a microsite to support the marketing effort. The residential property brochure was an A4 6-page format, allowing extra room for specifications and floor plans, and the final printed copies were treated with a gloss laminate to saturate the colours and really bring the photography to life. The developers, Landlink hosted an open day during which they showed prospective buyers around, and all six properties were sold within weeks of the launch.